In August, 2016 months of speculations ended when Rackspace announced that an investment management group would purchase the 18-year-old company. Rumors have been swirling that the company may be acquired, but instead Rackspace took the route that Dell, Riverbed and BMC have and went private. The company has its roots in managed services, but in 2010 it partnered with NASA to create the OpenStack cloud computing project. Rackspace used the open source code to build an IaaS public cloud competitor to market-leader Amazon Web Services. In recent years, most notably with the ascension of former Chief Customer Officer Taylor Rhodes to CEO in 2014, the company has pivoted toward helping customers manage their next-generation IT needs. That includes no longer competing with AWS, but helping customers use it. IDG Chief Content Officer John Gallant and Network World Senior Editor Brandon Butler sat down with Rhodes to discuss the company’s transition, its new corporate structure and the state of the cloud market. I wanted to start off with the company’s new corporate structure. Earlier this year, Rackspace announced that a private equity firm with ties to Appollo Global Management had acquired it. What was the reason for that move and what should customers know about how that will impact the company? It is a very simple reason that we went private and that is Apollo recognizes that we are early innings in a massive shift out of the corporate data center and that becoming the managed service leader in this shift out of the corporate data center into multi-cloud is a long game. We need to be able to invest and double down for the long game. It’s easier to do that as a privately held company then when you’re on the 90-day shot clock on the Wall Street earnings calendar. The message for customers is we’ve now been bought by an owner who is 100 percent aligned with our strategy to lead managed services in the cloud and we are willing to invest in our product and our service offerings for the long term to win that race. Rackspace’s move to go private has taken place during a volatile time for the IT market. We saw Dell go private and then buy EMC. HP split up. Along with Rackspace, BMC and Riverbed also went private. In totality, what do these moves say about the state of the IT market? AWS (Amazon Web Services) is a colossal disrupter. If you think back in the history of time, you see these seismic changes like the industrial revolution and the early days of mainframe computing and then the internet. I would put Amazon into that category of disruption. What I think you’ve seen over the last five years is an enormous disruption of the traditional tech model that was driven by perpetual software licenses and maintenance agreements and selling branded servers and making money off of maintenance agreements around those. All of that has been displaced and disrupted by superior technology options oftentimes at a lower cost point inside of the hyperscale public cloud stacks. That has created enormous disruption to business models, to revenue streams, to valuations. Of course when those things happen it opens up the model for consolidation, for financial sponsors to step in and buy those assets and work on making them more valuable again. That’s what I think has happened. It’s very clear that in the early days that was a very disruptive force and now you’re seeing companies marshal themselves and have to reorient on their strategy and really answer the question of where you create value in an Amazon or a hyperscale cloud world. How does that change your business model? I want to make sure that readers really understand what you mean when you talk about being a managed service provider because that’s a term that encompasses lots of different things. Can you outline exactly what that means for Rackspace? First and foremost it is our conviction. The buying patterns in the market are that it is a multi-cloud world and so choice of infrastructure is critical. The first two buckets there are private cloud, or single tenant options, as well as public cloud options, and multiple of them. We offer management of AWS and Azure and we may add Google Cloud Platform in the future. The next conversation comes down to what is core to your business? Is having to hire, certify and engage AWS architects, Azure cloud engineers and experts in VMware and OpenStack core to your business, or do you find those skill sets harder to find, secure and retain? If those skills are important but they’re not making you more differentiated then you should be thinking about using a specialist who has thousands of people who can deliver these services at a better cost to you. Then you proceed into other critical elements like, cybersecurity. We talk a lot to CIOs about who is best positioned to be your SOC, your security operations center. We get to aggregate a lot of knowledge and expertise and visibility across thousands of customers and build the combination software/hardware and services around cybersecurity at scale so that our customers don’t have to invest in all of that capability for themselves. We then get into the conversation around which workload is best for what type of an environment. When you’re talking about your e-commerce and digital marketing assets it’s a different conversation compared to talking about your back office ERP systems. We’re able to match the workload with the best infrastructure solution and then wrap that in value-added services like managed security and deliver that as a fully managed service with SLAs that are clearly articulated and industry-leading. Those are the types of conversations that we have. Does that mean that you’re targeting more of a midmarket to small market as opposed to larger enterprises, which probably have the resources to do those kinds of things? Today, we serve over 60 percent of the Fortune 500, but we tend to be a specialist there. 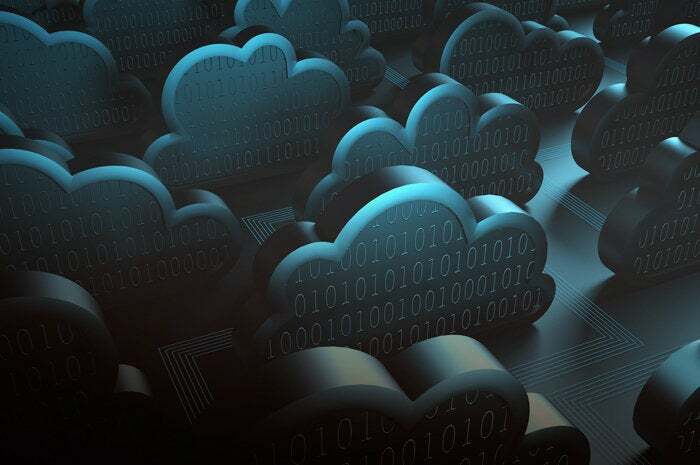 Instead of coming in to replace your entire IT estate, we tend to do business with companies, like TD Bank for instance, that are looking for a very deliberate private cloud strategy. Maybe they’re considering what’s next after VMware or they have chosen OpenStack as a platform and they’re looking for some help to build, operate and secure a private IaaS environment. Don’t think of us as coming to convince you to do a big ITO (IT outsourcing). We’re specialists in particular areas for Fortune 500s who are trying to drive change and that change in their business model and their IT strategy. As you get further down into what I call Fortune 501, into the midmarket, we tend to be what I would call a broader solution provider. That’s where you find CIOs who feel an enormous pressure to decide whether to use AWS or Azure and figure out how to make that work with current systems. We tend to become a broader solution provider for that lower end enterprise and midmarket customer.